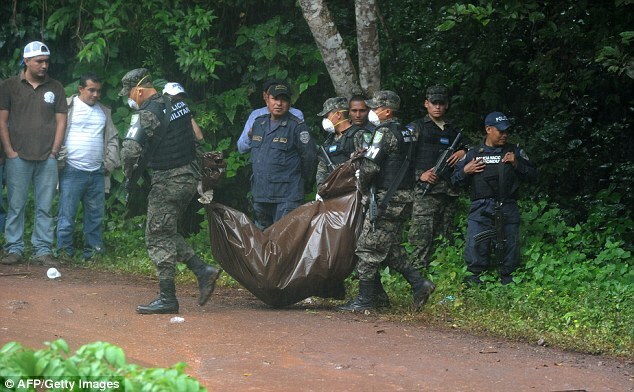 Miss Honduras Mundo 2014, Maria Jose Alvarado and her sister, Sofia have been found dead and buried in the village of Cablotales in Santa Bárbara, Honduras. It emerged on Monday four people had been arrested and were being questioned as the last-known people to see them alive. San Pedro Sula, just over 30 miles from Santa Barbara, is the murder capital of the world with more than 1,200 killings a year among its nearly one million inhabitants. Its murder rate of 169 per 100,000 people far surpasses anything in North America or much larger cities like Lagos or Sao Paulo. Alvarado describes herself on a Miss World website profile as an aspiring diplomat who enjoys playing volleyball and football in her spare time. She beat 18 contestants to win the Miss Honduras crown in April. She missed an appointment on Sunday evening to try on the dress she hopes to win Miss World with. The women’s mother Teresa de Jesus pleaded last night: “Open your hearts and understand my pain. Miss World is due to start on Thursday, with 120 contestants competing for the crown.